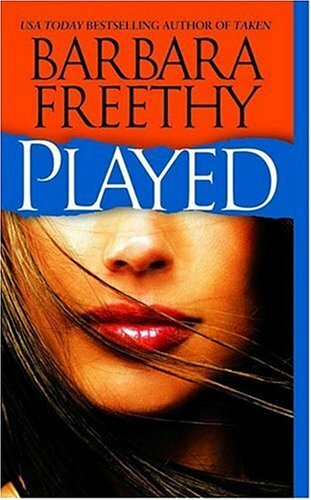 by Barbara Freethy | Mystery & Thrillers | This book has not been rated. Christina Alberti, an expert art historian, has run from the shadows of her past, hiding the truth and building her name as a reputable jewelry specialist. Everything is perfect--until a legendary and priceless diamond makes her a target for a con man. — FBI agent J.T. McIntyre is determined to catch the thief who conned his father and destroyed his family. He wants revenge as much as he wants justice and he won't let anyone stand in his way, not even Christina. Putting in 2006 & Newer VBB at BookObsessed.com. Removing from 2006 & Newer VBB at BookObsessed.com. Putting in Mystery VBB at BookObsessed.com. Removing from Mystery VBB at BookObsessed.com. My first Barbara Freethy book and I'll definitely read more by her! This was a good read. Putting in Ollie1976 Anything Goes VBB.